Get your pet geared up for game day with this officially licensed MLS New York Red Bulls pet jersey! Made from double-lined, lightweight mesh that features an all new embroidered team logo. Proudly made in the USA! 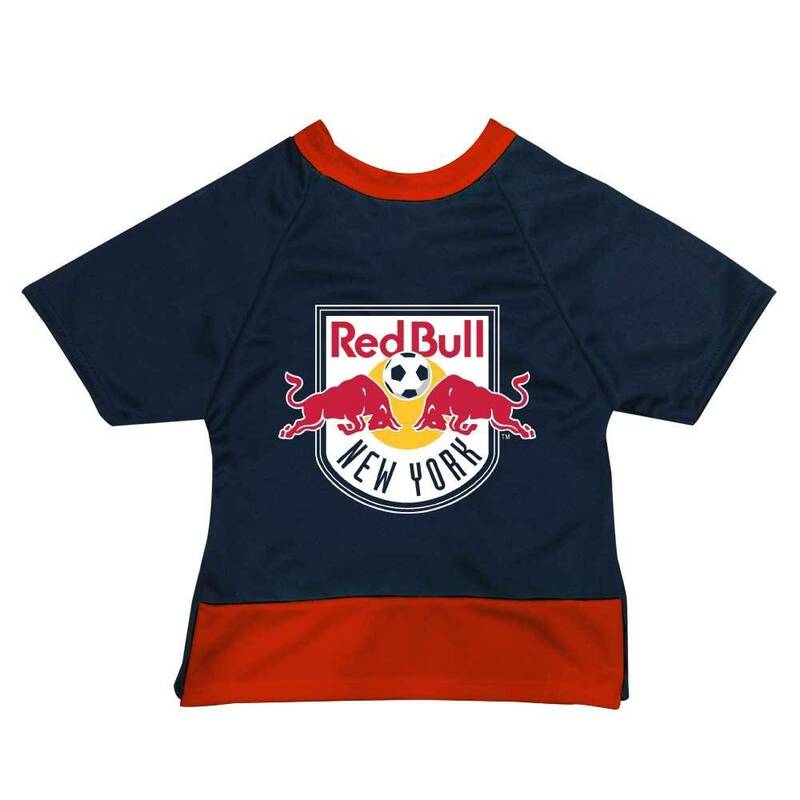 Get your pet geared up for game day with this officially licensed MLS New York Red Bulls pet jersey! Designed in team colors, this v-neck jersey is made with a lightweight mesh outer layer and lined with a solid inner layer from the same lightweight material that creates a nice jersey look while your pet stays comfortable. Features a high-cut belly, contrasting trim, and an all new embroidered team logo on the back.